Sub-Zero and Spawn stand-out in fan choices for Injustice 2 guest fighters. The simmering boil of Injustice 2 has been unusually quiet for the past few months, but Creative Director Ed Boon has used Twitter to stir the pot back to bubbling life! Bypassing the curious absence of recent DC Comics character reveals, Boon went for the ever popular talking point of inter-company guest characters. Two polls quizzed fans on their preference between four figures from other franchises. In the first poll Boon asked which Mortal Kombat character fans would like to see. The quiz returned an emphatic 52% in favour of obvious pick: Sub-Zero. Nearly five thousand votes behind was last year's WWE Immortal guest Johnny Cage at (23%), and alternate mascot god of lightning Raiden (20%). Metal armed All-American Jax was a distant 5%. There were 19,453 votes registered. Scorpion was the talk of the town in 2013 - the only guest character to invade the superhero domain of Injustice: Gods Among Us [full story]. As a perk of the appearance, Scorpion received a unique design by popular artist and DC Comics Publisher Jim Lee. Like every NetherRealm Studios crossover before it; the downloadable guest was the highest selling of the post-release bunch. This pretty much assured more guests for Injustice 2 - and interest in counterpart icon Sub-Zero! Ed Boon has been very forthcoming with the likelihood of more guests rolling into the DC fighter after including four in Mortal Kombat XL. In poll numero dos: Boon looked to the pop culture canon of comics and movies to pick out a curious crop of crossover characters. Perennial fan request Spawn came back with a decisive 45% of 28,182 votes! A character creator and publisher Todd McFarlane has already enthusiastically endorsed in the past with an alleged outstanding deal with Warner Brothers [full story]! Mike Mignola created demon turned paranormal investigator Hellboy (21%) is another independent comics hero, published by Dark Horse. Like Todd McFarlane's Image hero, he's hails from Hell and has bumped into a few DC characters in his time [Batman, Starman]. Buffy (19%) -- presumably the vampire slayer, and not Russian President Vladimir Putin's pet Bulgarian shepherd -- is a curious case with a cult following in TV, Dark Horse comics, and the 1992 film that started it all. A slightly odd choice, unless we should be anticipating more ghouls by gaslight than we currently are. The Terminator from the film (and comic book) franchise of the same name rounded out the guest character list with a respectable, but not unbeatable 15%. A character who might be more at home with the movie maniacs who've already infested Mortal Kombat X. So, is it time to start counting down the days until Sub-Zero and Spawn arrive as Injustice 2 DLC? Not so fast, El Savitar! These aren't unreasonable expectations, but it's worth remembering that Uncle Ed has been asking for opinions on a lot of topics that are yet to produce results: MKX absentees, MKX absentettes, post-MKX project, preferred MKXL news. If Boon's motive is actually to get people talking in the right direction before the real news shows up: Consider that mission accomplished, and reset your fan phasers to 'Not Crazy' while taking the wait and see approach. The inclusion of guest fighters is always popular, but divisive. Where do you fall? Register to share your superheroic thoughts and suggestions on the DC Universe Injustice forum! Subscribe and tag MK Online on MK_Online and Facebook. If Sub's trait is Unbreakable aura or Ice Clone then I'm 100% maining him. <br/> <br/>And if Spawn does make it in, let's not go crazy with his teleporting capabilities. B2b is frustrating enough as it is. If Sub's trait is Unbreakable aura or Ice Clone then I'm 100% maining him. And if Spawn does make it in, let's not go crazy with his teleporting capabilities. B2b is frustrating enough as it is. Kinda funny that Spawn could make appearances in Soul Calibur and Mortal Kombat <br/> <br/> <br/>I probably won't be buying Injustice 2, at least not until some sort of complete edition comes out. I enjoyed the first, and found Scorpion's presence just kind of... weird. I probably won't be buying Injustice 2, at least not until some sort of complete edition comes out. I enjoyed the first, and found Scorpion's presence just kind of... weird. We've got chicken tonight. Strangest damn things. They're man made. So, Plain Zero confirmed for I2? Raiden or Johnny would be much cooler (pun intended) <br/> <br/>Also, does the Terminator being in that poll mean he's deconfirmed for MKX? Also, does the Terminator being in that poll mean he's deconfirmed for MKX? <div class="forumQuote"><b>DG1OA Wrote:</b><br/>So, Plain Zero confirmed for I2? Raiden or Johnny would be much cooler</div> <br/> <br/>Not going to lie, it would be nice to get a threatening conqueror as a guest; I would not pass up the opportunity to try out Shao Kahn or Dark Raiden but SZ does not interest me. I still hope to see an Amazo cameo but Ed Boon's tweet seems to have deconfirmed the android. Not going to lie, it would be nice to get a threatening conqueror as a guest; I would not pass up the opportunity to try out Shao Kahn or Dark Raiden but SZ does not interest me. I still hope to see an Amazo cameo but Ed Boon's tweet seems to have deconfirmed the android. ... here's your Subzero, now plain zero. 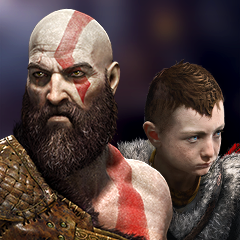 God of War is Back! AM I THE ONLY WANKER WHO WANTS BIG DADDY SHAO KAHN IN INJUSTICE 2? 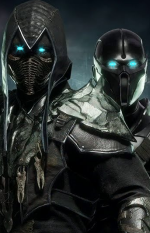 <br/> <br/>But yeah Sub Zero and Scorpion and looks like Spawn as well. Whatever. I still dont see why Spawn is so popular. AM I THE ONLY WANKER WHO WANTS BIG DADDY SHAO KAHN IN INJUSTICE 2? But yeah Sub Zero and Scorpion and looks like Spawn as well. Whatever. I still dont see why Spawn is so popular. Interesting tidbit about the Terminator: There was a Superman/Terminator crossover decades ago. Just thought I'd point that out, with the Terminator being in that poll and all. I love NRS for seeking out fan opinions. I'm at the point in my life where it's hard for me to get "in" to new games, especially Injustice.. call me a tool-bag, but hell, I'll buy it (PC only) just to support them. Buffy would be better for a horror-themed fighting game, imo. <br/> <br/>And LOL at Jax getting only 5% of votes. Even Sheeva in the missed gals poll got at least a little more than 10%. Honestly, why Jax over Sonya, Shao Kahn, either Cyborgs, or Quan Chi? Buffy would be better for a horror-themed fighting game, imo. And LOL at Jax getting only 5% of votes. Even Sheeva in the missed gals poll got at least a little more than 10%. Honestly, why Jax over Sonya, Shao Kahn, either Cyborgs, or Quan Chi?